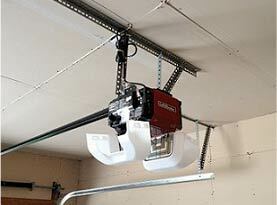 Your garage door is more than inconvenient when it breaks. This is why it is so important that you maintain it properly. When your garage door is properly maintained, you will be less likely to be in need of repairs. One of the main parts of garage door maintenance includes lubricating all the working parts of your garage door. United Garage Doors is here to share some information on garage door lubricant and why it is so important that you choose the right one. 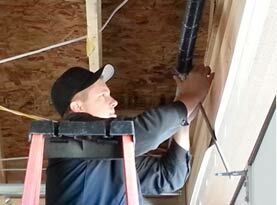 No one wants to experience frequent garage door repairs. One of the best ways to avoid it is to make sure all the working parts of your garage door are kept lubricated. This will ensure that those parts aren’t grinding together and wearing down sooner than they should. Here are the parts of your garage door that should be getting lubricated. •	Hinges– Some garage doors have plastic hinges, and you would obviously not need to be greasing them, but the metal hinges should be greased at the pivot point. •	Rollers– The bearings found in your rollers are what need to be lubricated. If you have nylon rollers, don’t get the grease on the nylon and just focus on the bearing. Wipe away any excess grease to save yourself from a mess. 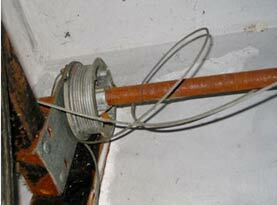 •	Springs– Spraying the torsion springs that lift and lower your garage door will keep them from breaking. Be sure you don’t over lubricate them and just give them enough that you notice they work with more ease. Once you have lubricated all the working parts of your garage door, it is important that the garage door is lifted and lowered several times. This will help the lubricant be evenly distributed on each of those parts. You can’t just use any lubricant on your garage door without causing more damage. Many people try using WD-40 on their garage door which is a huge mistake. This tends to cause rusting rather than true lubrication. The best lubricant for garage doors is a silicone spray or white lithium grease. These greases work to truly lubricate all the moving parts of your garage door. After a proper lubrication, you will notice that your garage door doesn’t just work better, but it can cut out some of the grinding noise you hear previous to greasing the right parts. Because maintaining your garage door is so important, you need to have it professionally inspected and maintained by a professional garage door company like United Garage Doors once a year. 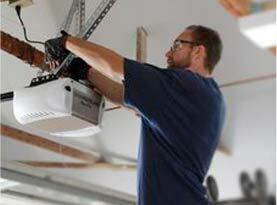 This will give you peace of mind that your garage door is in good hands and has the best chance at no major repairs. Our expert garage door technicians know exactly what parts need to be lubricated and will keep them working as they should. Call us today to schedule your annual maintenance inspection.